Dressing up is one of the best things about Halloween. However, it can be expensive and wasteful, as millions of people buy ready-made costumes, wear them once, and then get rid of them. Instead of spending lots of money and filling up landfills, get crafty and come up with your own creative costume with inexpensive and recycled supplies. You’ll save money and the planet. 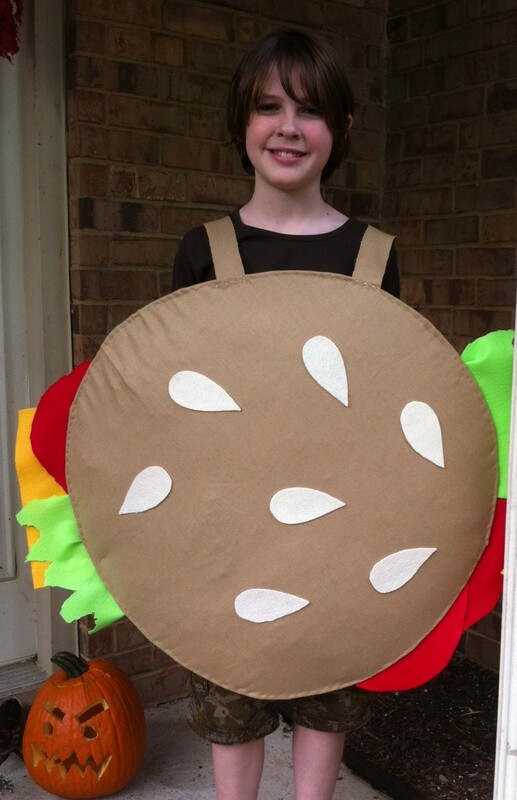 A few weeks ago, my son announced that he wanted to be a hamburger for Halloween. I was able to put the costume together in just two hours and was quite pleased with the finished product. I spent about $5 on fabric and felt. The fabric ($1.99) is from Goodwill, and the felt is from Michael’s ($2). Instead of Fiberfill stuffing, I used plastic grocery store bags. 1. 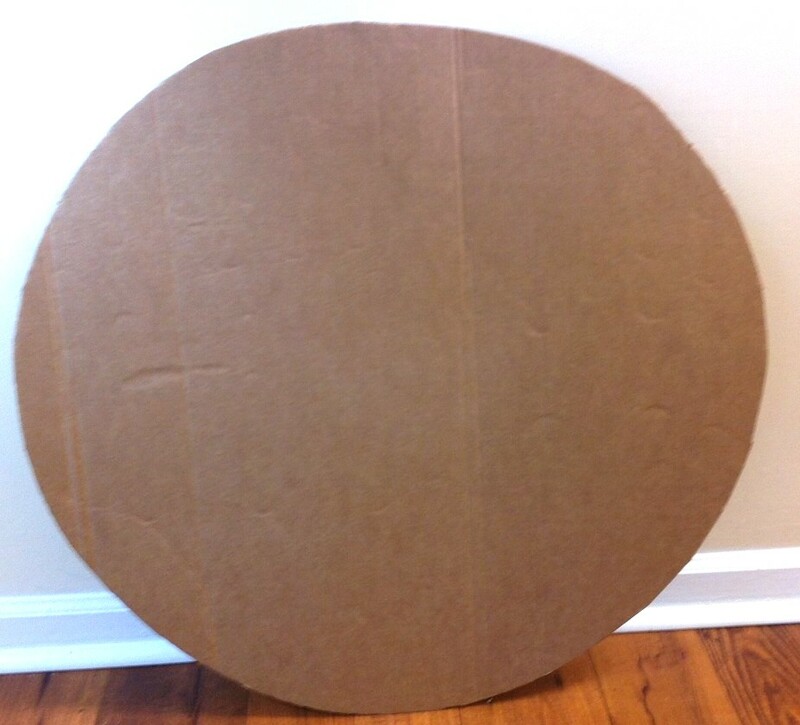 From a piece of cardboard, cut out a giant circle. 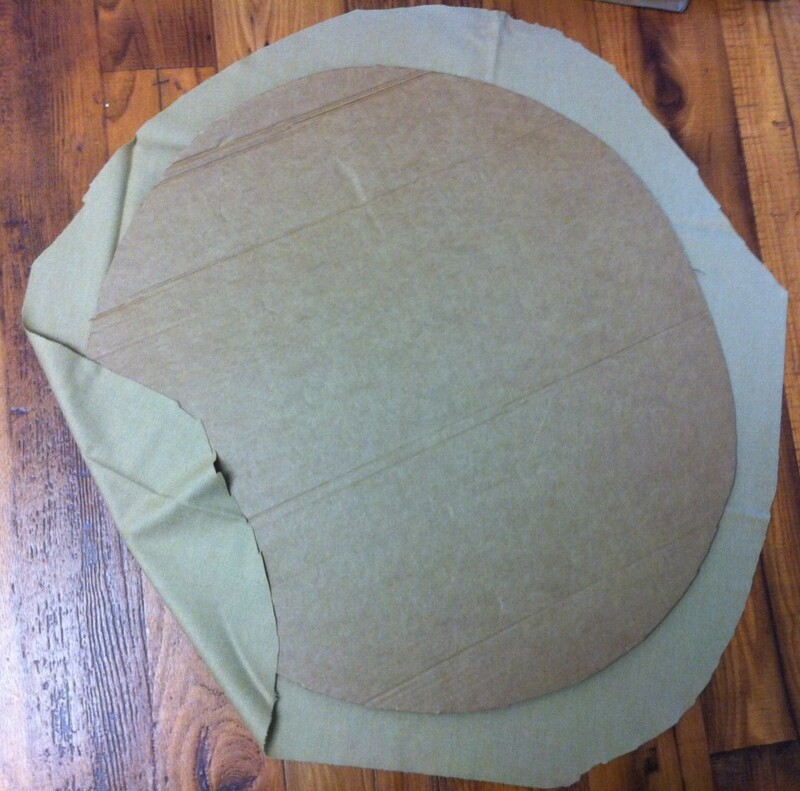 2.Cut two circles from the tan fabric. They should be a bit larger than the cardboard circles. 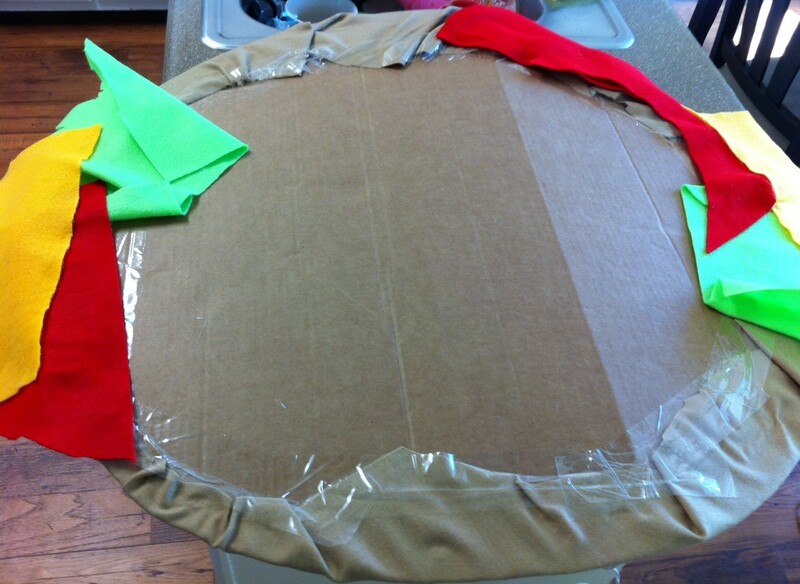 Glue the fabric to the cardboard, but leave about six inches unglued. Make it extra strong with tape. 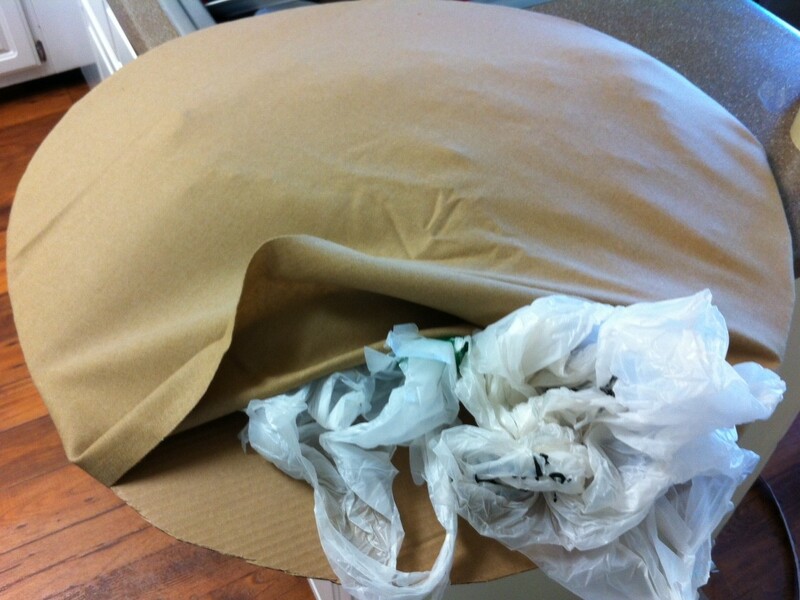 3.Stuff the circles with Fiberfill or plastic bags to create the top and bottom of the bun. 4. 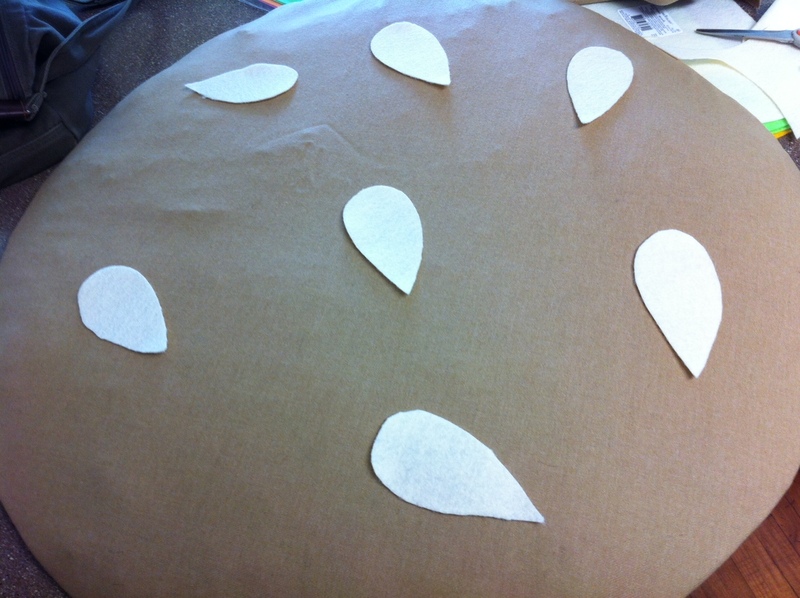 Cut seeds from the white felt and glue them to the top bun. 5.Cut out tomato, lettuce, and cheese shapes from red, green, and orange felt. Glue them to the wrong side of the bun, around the edges. 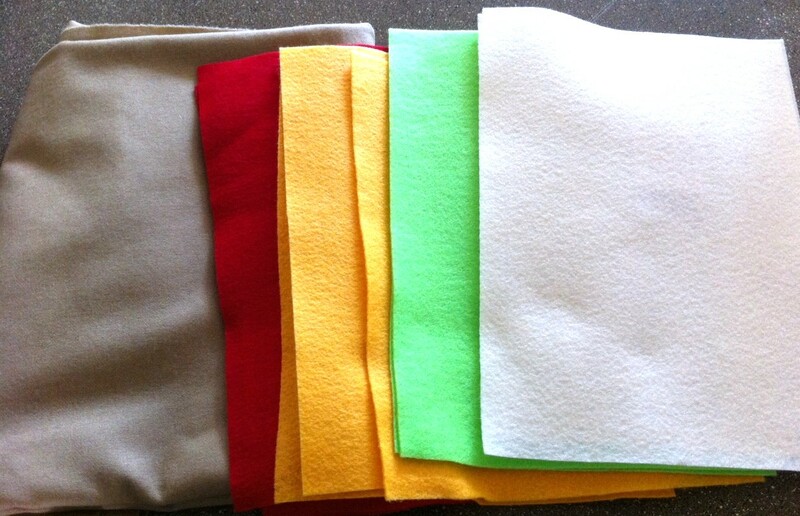 6.Cut two strips from the tan fabric and glue them to the wrong side of the buns. This creates a hanger to place over your shoulders. 7. 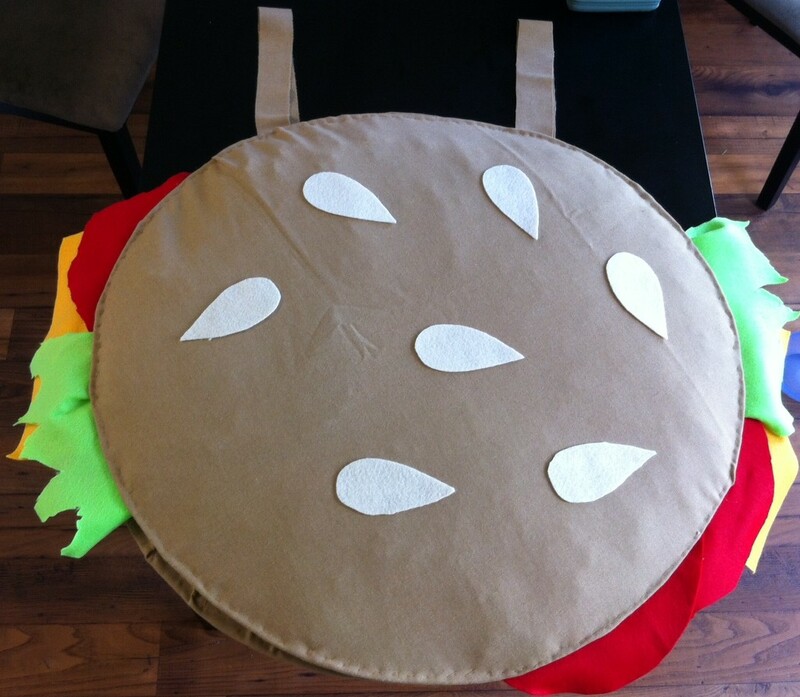 On Halloween, put the brown shirt on and place the hamburger costume over your head.